Individuals may enter military service with a known disability. Should this disability become worse due to military service, VA may be able to pay compensation. This is known as aggravation; however, compensation can only be paid for the level of aggravation. For example, at entry into military service, an individual has a disabling condition that could be considered 10% disabling. In order for this condition to be considered aggravated, it would have to have worsened due to military service to at least 20%. These claims are based on disabilities that are a result of an injury or disease that occurred in active service, and in the line of duty. Injuries or diseases as a result of the Veteran's own willful misconduct or abuse of alcohol or drugs are excluded. An original claim is the first claim you file for compensation from VA. This can be filed by a Servicemember, Veteran or survivors of deceased Veterans. A reopened claim is a claim filed for a benefit that could not be granted and the decision has become final, meaning that it is over one year old and has not been appealed. VA cannot reopen these claims unless new and material evidence is received. 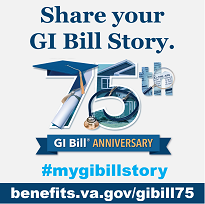 New evidence is evidence that the VA has never before considered in connection with the specific benefit claimed. Material evidence is evidence that is relevant to and has a direct bearing on the issue at hand. A Veteran was treated several times during service for pain in the right elbow. He filed a claim for service connection in 1989, but his claim could not be granted because no orthopedic abnormalities were found on VA examination. Two years later, his private physician x-rayed the elbow and noted arthritic changes in the joint. The Veteran submitted the new evidence to VA. Because it suggested a residual of his in-service elbow problems did exist, VA reopened his claim. A Veteran was discharged from service in 1977. He filed an original claim for service connection for pes planus (flat foot) 20 years later. VA was unable to grant his claim because pes planus was never noted in the Veteran's service treatment records. In 2001, he attempted to reopen his claim by submitting a statement from his private physician confirming the diagnosis of pes planus. VA was unable to reopen the claim because, while the evidence was "new," it was not "material," in that it failed to demonstrate the Veteran was diagnosed with pes planus during service. A new claim differs from a reopened claim in that a decision on the claim is totally independent of any evidence submitted in connection with an earlier claim.